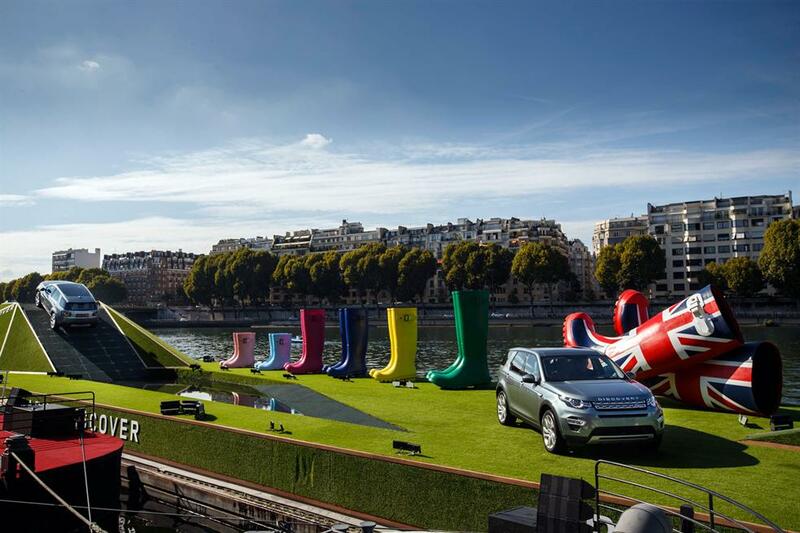 All new Land Rover Discovery Sport has made its first public debut in a very unique style on an 80 meter barge on the River Seine Central Paris along with 7 pairs of giant sized brightly coloured Wellington boots. Fresh from the runways of Paris Fashion Week, Rosie Huntington-Whiteley made a surprise appearance on Land Rover's own floating catwalk highlighting the new premium SUV Discovery Sport. This was the best public debut has been made by Land Rover. Since 1948, Land Rover has been manufacturing authentic 4x4 SUV car that no one can beat. The new Land Rover Discovery Sport is finally here to replace the outgoing Freelander model. Discovery Sport is a versatile 5+2 seater premium SUV car comprehensively redesigned and lengthened compared to Freelander with new 5+2 seats format and new rear suspension. 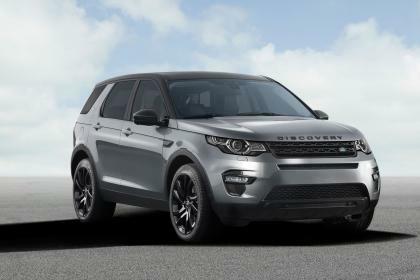 The new Discovery Sport is been designed to meet the modern and busy life. A high tech sporty and stylist car is longer, narrower and lower than Freelander. It offers fresh look with new LED signature front lights, specially designed new C pillar, aerodynamic silhouette with legendary Land Rover capability. Discovery Sport offer flexible interior, with a sliding second row to increase legroom and sliding third row for extra loading needs. The modern interior comes with 8 inch touch screen with latest technology, 12V power points plus six USB charging sockets for all three row seating and nomerous. Also offers excellent boot space of 195 litres that extend up to 830 litres by folding third row and increase more space up to 1698 litres by folding second row. Discovery Sport available in four trim ranges are SE, SE Tech, HSE and HSE Luxury. All the trim model gets 5+2 seating, climate control, cruise control, 8 inch touch screen, Bluetooth audio streaming, heated seats and rear parking sensors as standard. Initially, Discovery Sport offers only 2.2 litre diesel engine to choose between automatic and manual gearbox. The engine is very powerful takes you 0-60mph in just 8.4 seconds and offers average fuel efficiency of 46mpg and 162g/km CO2 emissions. The Land Rover Discovery Sport is a great car offers excellent flexibility and reliability that you are looking in your next family car. We have a great Discovery Sport financial lease options available on business and personal contract hire to suits you. Simply call our car leasing team on 0800 458 0113 to find out the best lease options for you !!!! !